In need of custom engraved awards and plaques? Come on down to Olympic Awards. They are a locally-owned business with over 30 years of experience, providing custom engraved plaques, trophies, clocks, nametags, crystal, medals and more. They serve Hudson, Aurora, Cuyahoga Falls, Stow, and other Northeast Ohio locations. Olympic Awards also offers the lowest pricing on custom-engraving solutions. Delivery and private appointments are available, and e-mail and phone orders are more than welcomed with them. Olympic Awards also has special skills in mounted memorabilia and custom donor walls and boards. They realize that it’s not only the award that matters, it’s the memories and feelings that go along with it. 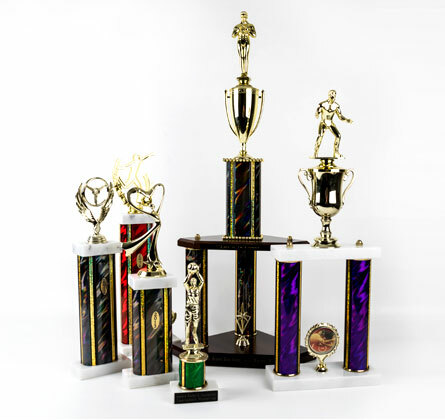 Since 1982, it has been the place to go when you need custom engraving or trophy displays. Come visit their extensive showroom to see samples of their work down off Route 91. Olympic Awards is dedicated to excellence in service and customer relations. With a great reputation and a hard working staff, they can create any custom engraved awards and plaques that fit any occasion!